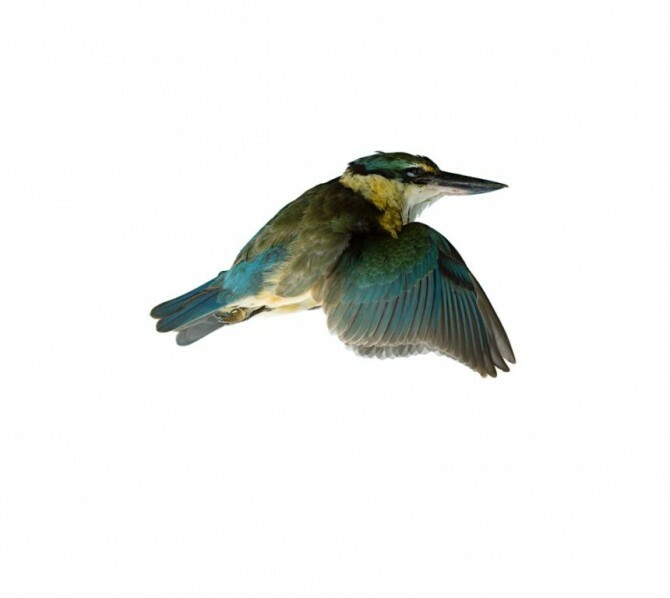 D-Photo looks at interesting photographers doing interesting things – Denise Batchelor tells us about capturing the minutiae of nature in her Auckland Festival of Photography exhibition, Silent Wings. D-Photo: Can you please briefly describe your Silent Wings exhibition? Denise Batchelor: Silent Wings is a solo exhibition composed of both still and moving image and is currently showing at Lopdell House Gallery, offsite in New Lynn as part of the Auckland Festival of Photography. The material was selected from earlier as well as new work and focuses on the detail that exists in a world largely unseen. How many still works make up the exhibition? There are four limited edition still works in all – three are framed and hung while the fourth is a selection of thirteen smaller prints, bound and viewed as a book. These bound prints provide an intimate and more detailed view of the subject that is the largest image in the exhibition, Kingfisher. Where were the shots taken? Much of the work was taken on our property in the Waitakeres. It is abundant with wildlife and has provided me with unending inspiration. It’s where I became much more aware of the seasons and observed firsthand the cycles of life. In some ways the wildlife has for me become a teller of time. There are certain birds that are more apparent at particular times of the day. For instance, the Kingfishers tend to do their rounds here in the morning while the Tuis can be found at all hours. The early evening is my personal favourite however, when the Ruru arrive and call from the Kanukas to others up and down the valley. How did you approach finding the shots, do you go out with a specific idea in mind? Much of my work eventuates in a rather serendipitous fashion, just being in the right place at the right time. Other times I will set up the camera and just wait. Either way, observing nature is never static. I have come to expect the unexpected and try to remain as open as I can, without fixed plans or outcomes. Your images seem very detail-focused, what’s the appeal of the minute detailing in nature to you? The detail in my work originates as curiosity. I want to see more, to get close enough to see what the naked eye can’t. The wing and feather detail in much of the work in this exhibition was a study of just one bird, the Kingfisher. I was enchanted, the more I observed, the more detail became apparent. For me, focusing on the detail is really a method of observation that over time has become an important element within my practice. Can you tell me a little bit about the video works in the exhibition and how they relate to the still images? The video work I created for Silent Wings was an unforgettable encounter. To be alone and up close to something that few people have the opportunity to experience was a privilege and one I wanted to share. I feel the video works add another dimension to the still images. I am fascinated by how still images can contain a sense of movement while moving image can embody a feeling of stillness. Playing with the two mediums of photography and video in this way has allowed a greater sense of freedom within my practice. Individual works generally lean towards either one or the other, moving or still image, but rarely both. What is the significance of the title, ‘Silent Wings’? The title Silent Wings originated one evening as a Ruru silently swooped down on me from out of nowhere. I saw him only after he had passed within an inch of my head and like a shadow, glided to the nearest tree. Their silence in flight is what makes them so elusive. It takes both patience and persistence to see them. You’ve said your work attempts to create a “more intimate space” for individuals to connect and engage with nature – what do you hope viewers will take away from that? Within contemporary western culture, there is a very real sense of living with ever increasing stimuli. This not only serves as a distraction but may also diminish our awareness of the less conspicuous, the more subtle aspects of the world we live in. Working within the natural environment has given me another perspective, a new way of seeing and exploring my surrounds. My hope is that my work engages viewers, possibly initiating a deeper connection with their own environment. Do you have a favourite image from the exhibition? All the images in this exhibition (stills and moving) are encounters I have had, each one special in its own right. 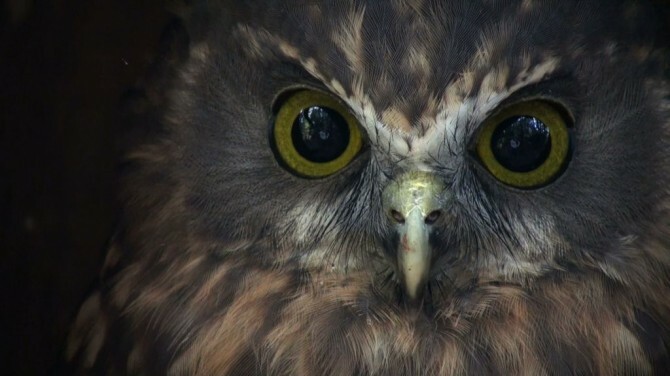 If however I had to pick one as a favourite, it would have to be Ruru [below]. My many experiences with her evoked an unexpected empathic response that completely changed my perception of animalia. It is connections such as these that continue to challenge my own belief systems and to examine more thoroughly, my place within this land. You have exhibited at the Auckland Festival of Photography before, how valuable have you found the experience? The Auckland Festival of Photography provides a unique opportunity to be part of an event that attracts a very diverse group of photographic artists. With so few events that fully endorse photography in the calendar year, it is truly a celebration of the medium. Exhibiting affords not only new experiences (and ultimately, learning curves) but also encompasses the excitement of viewing the photographic works of many contemporaries. 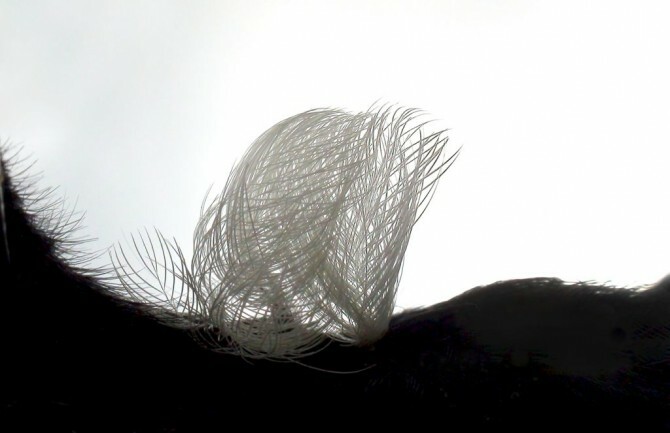 Silent Wings is currently showing at Lopdell House Gallery, offsite in New Lynn. While the still works can be viewed during gallery hours (Mon – Fri, 10am–4.30pm), the moving image works (in window facing out to the street) can best be viewed after hours or at night. Silent Wings is showing now and runs until June 17 at Lopdell House Gallery, offsite in New Lynn as part of the 2013 Auckland Festival of Photography.